RM Sotheby’s Villa Erba car auction, held alongside Villa d’Este 2015 car show, is set to put other classic car sales in the shade. On the 23rd May 2015, Villa Erba on the shores of Lake Como, Italy will host an exclusive sale of some of the finest classic cars in the world. At the exclusive auction, taking place in conjunction with the Concorso d’Eleganza car show at nearby Villa d’Este on the same weekend, RM Sotheby’s aims to reproduce the success of previous Villa Erba auctions and set a few records into the bargain. At the sale, 40 stunning classic cars will go under the hammer, with highly sought-after European sports and racing cars being the focus of this year’s event. The line-up for the 2015 sale is truly outstanding and includes pristine examples of highly collectable models like the Lamborghini Miura and Mercedes 300 SL Roadster. 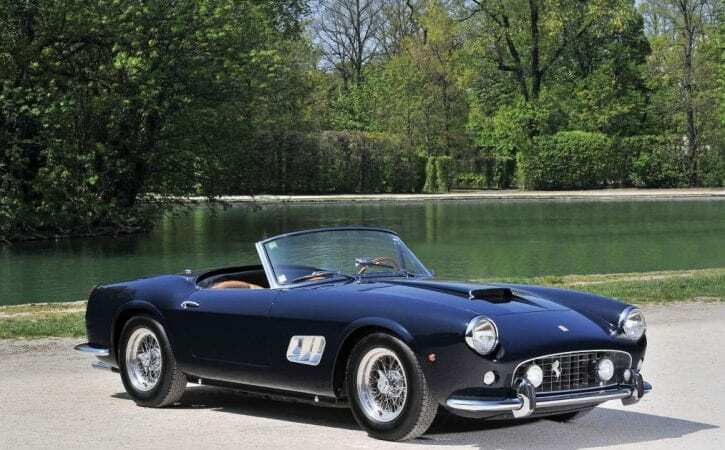 There’s also a number of newer Ferraris including a 458 Speciale A and an F50 but the highlight has to be a model from further back in the Italian manufacturer’s illustrious history – a 1961 Ferrari 250 GT SWB California Spider. An example of the Ferrari 250 GT SWB California Spider sold at the Gooding & Company auction at Pebble Beach in 2012 for £6.7million. The model up for grabs at Villa Erba, however, has a guide price of €11-13million (£7.9-9.3million). If that kind of sale price is achieved the car could sneak into the top ten most expensive cars ever sold at auction.